Your decorating wish just came true! 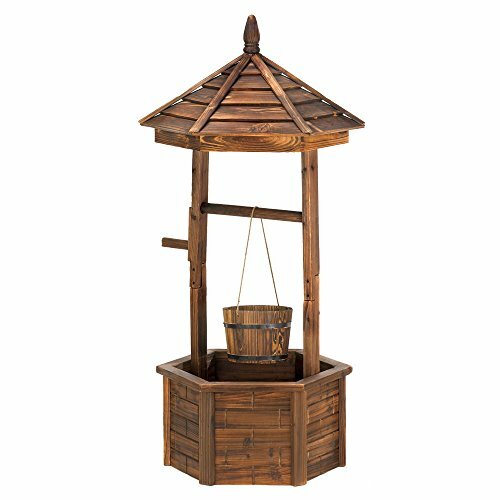 Natural wood wishing well adds quaint nostalgic appeal to your outdoor living space; so pretty when its bucket and base are filled with your favorite flowering plants! Hollow base. Material: Wood-Fir. Dimensions: 25.6" x 25.6" x 44.1"
If you have any questions about this product by Summerfield Terrace, contact us by completing and submitting the form below. If you are looking for a specif part number, please include it with your message.